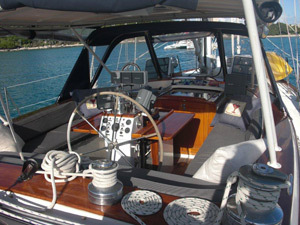 LA BOHEME is a smooth sailing sloop that accommodates up to twelve guests. 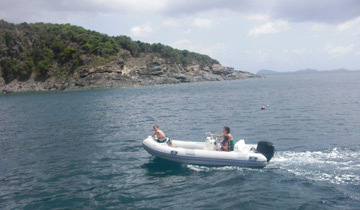 It is an excellent sailing yacht for friends and families that want to have fun sailing, swimming, snorkeling, kayaking, sun bathing, and enjoying beautiful beaches. La Boheme glides through the Caribbean waters up to a speed of nine knots. Sailing is not so much a chore for La Boheme has four electric winches to make tacking a "breeze". Anegada can be reached within a couple of hours. 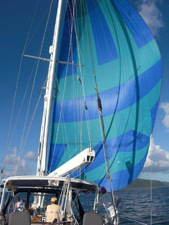 For downwind sailing she is equipped with a multi-purpose spinnaker of a gorgeous blue and green. Raising the spinnaker comes in handy for downwind sailing to Norman Island. 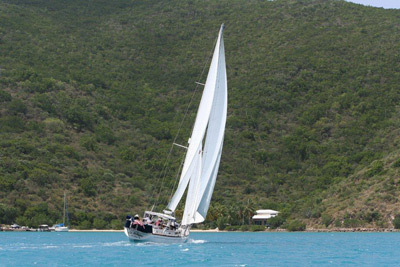 Marina Cay is a broad reach from Virgin Gorda and downwind from there is Sandy Cay, Green Cay, and Jost Van Dyke. After an exhilarating sail, you can drop anchor and take a dip. 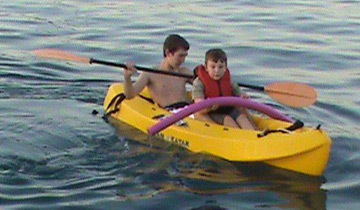 Possibly you will be inclined to snorkel and witness the astonishing underwater life. You may look to wander along the seashore or hike the hills of the various islands. There is a deck shower for rinsing off after your swim and you are welcome to use the towels on board La Boheme. Guests will often bring a packed lunch with them for the sail, but it would be a shame to miss out on the scrumptious local cuisine served up at the many restaurants. 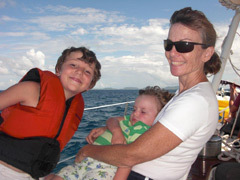 On the way back to Virgin Gorda you may want to take the helm. 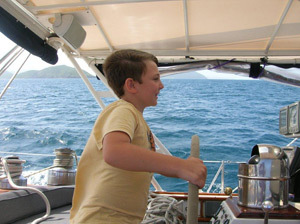 If you've never sailed before, it is a must to get behind the wheel and learn how to trim the sails a little. But beware. You may catch the sailing fever! One sail in the Virgin Islands can truly change your outlook on life. 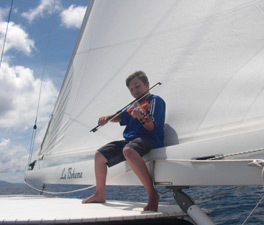 You may want to extend your sail and catch a glorious sunset over Tortola. It is simply breath taking! 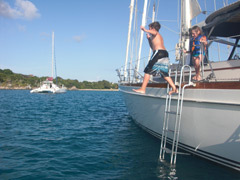 Charter La Boheme for a day and have an expert captain take you on a unique tour of the British Virgin Islands. We promise that it will be a trip you will never forget. Come sail aboard La Boheme and have the most memorable time of your life! It would be our pleasure to serve you! 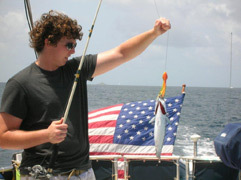 Copyright © 2011-current Bowline Yachts, Ltd. - La Boheme Day Sailing Charters - All rights reserved.